Today I went to IKEA again. I'm such an IKEA craze, haha. Well, today I bought my new makeup storage. I bought the compartment, but I might have to go back and buy some dividers and miniboxes to fit in my MALM! It's the narrow one I showed you yesterday! I went to IKEA today because my makeup storage is growing too small. I can't fit one more lipstick, mascara, lipgloss, foundation, or skincare product. There is many products I want right now.. So many new things and old goodies. 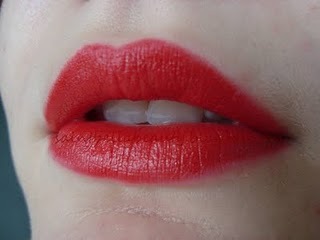 So I'm kinda in for red, and lips right now. 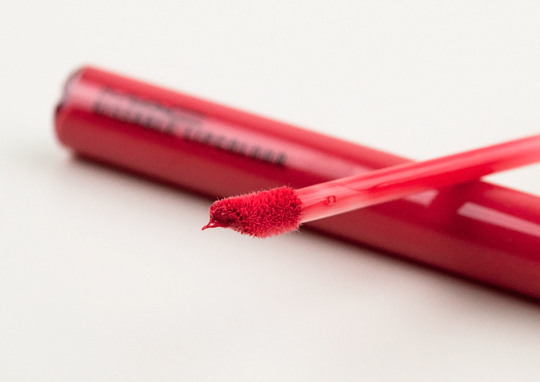 Do you know any good lip products that you like right now? Doesn't have to be red! Hello guys! This post is mainly for Swedish people because I am going to talk about a Swedish store. So right now this store called Lindex has some sort of offer. 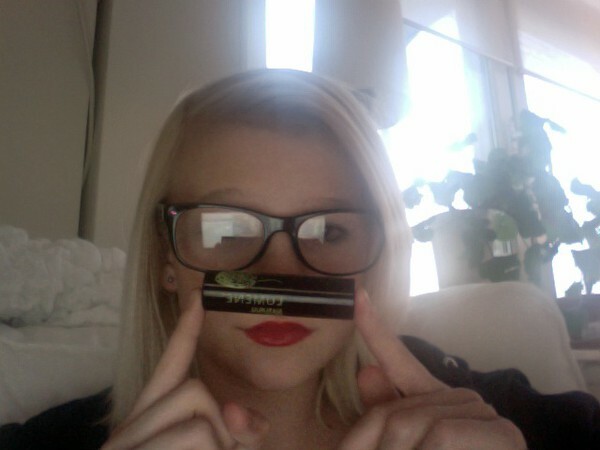 They have now reduced the price (temporarily) of these lipsticks (on the picture) to 49 kr. When I swatched them in the store I didn't know if I wanted them because the testing lipsticks were all dry so I wasn't sure if it was like that in for real. But since it was only 49 kr I bought it! And I am so glad I did, as you see on the picture it is a very pigmented red. But now I am off for a school sleepover, or MYP (the older classes) sleepover. I am not gonna stay over night though.. but I am gonna join them for movies and pizza! Our internet is not working, so I have to "share" my internet connection from my phone, quite complicated. My phone's internet connection is really slow. I have videos recorded but YouTube's estimated time for uploading one of them is around 3000 minutes. I have been sick, and then I mean really sick. I was probably down for two weeks in total. I'm still not good, i still have a runny nose and an aching throat but I think the worst part is that I am not eating correctly. I have probably lost a lot of weight. During one day, I probably eat as much as one meal would have been for me three weeks ago. I have had a break. A break for me is time to relax. Well, you see, I have been at "Vårdcentralen" (a medical care centre) because I get to little sleep. So basically what they told me is that I have some kind of insomnia. So I thought my break would be a time for me to rest. But my sickness was going on during my break, which made me sleep even less.